The Hurtle Vibrating Fitness Platform provides you with a new and exciting way to train! Take your fitness to the next level with vibration-assisted workouts that target your entire body. The revolutionary design allows you to tone your abs, thighs, buttocks, calves and more -- you will have the ability to focus on more areas of your body while incorporating a wide-range of different workouts! Next-generation dynamic oscillating motion technology uses high-powered vibrations that do the hard work and help you feel the burn. The system is easy to operate and simply requires you to step on! Incorporate upper body, lower body and core workouts which also aid in reducing the appearance of cellulite and improve metabolic rates. It's perfect for athletes and sports training, or anyone looking to accelerate weight loss and burn fat. 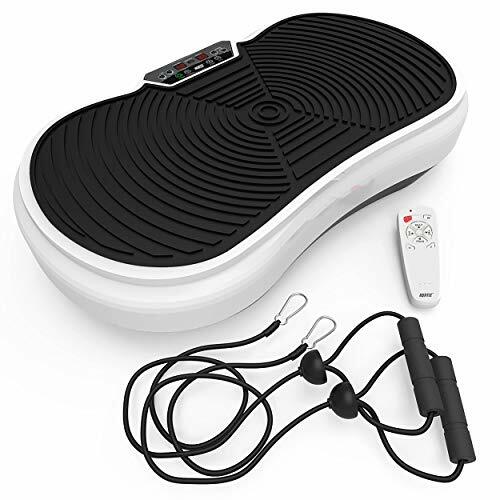 Improve muscle strength, flexibility and circulation with the Hurtle Vibrating Exercise & Fitness Platform. If you have any questions about this product by Hurtle, contact us by completing and submitting the form below. If you are looking for a specif part number, please include it with your message.